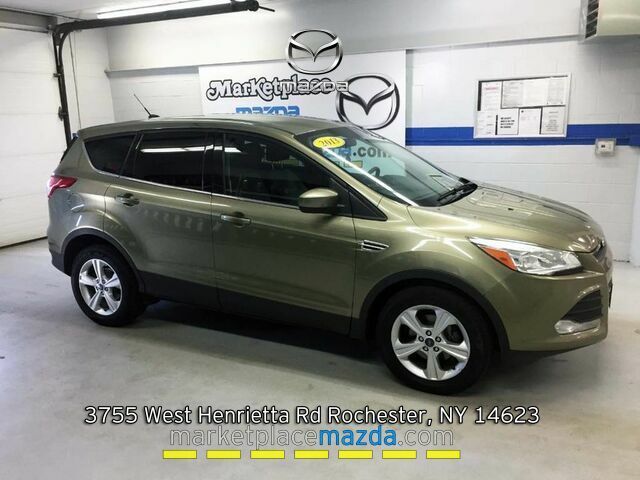 *Clean CarFax, New Brakes, Steering Wheel Audio & Phone Controls, Cruise Control, Alloy Wheels* Well-Maintained 2013 Ford Escape SE! Cruise Control becomes your favorite option anytime you're on the highway! Steering Wheel Audio Controls allow you you to change a station or track without having to take your hands off the wheel! Climate Control W/ Air Conditioning is your best weapon against the up & down weather of upstate NY! The Alloy Wheels are in great shape & add to an already stunning exterior! Have Questions? My name is Taylor please contact me directly at (585) 797-3282 to confirm availability as multiple vehicles are sold daily.